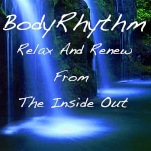 Greetings, and welcome to BODY RHYTHM Massage Therapy in Newton, MA! Let me help you return to a deeper harmony and your true wellness potential through a unique blend of massage therapy techniques. You choose what works for you. Experience the soothing rhythms and graceful flow of Hawaiian Temple Bodywork. The rhythmic and fluid movements generate a field of energy which awakens the body’s natural fluidic origins, creating a deep and soothing relaxation. Then tuning to the primal core rhythms and effecting structural alignment with Cranial Sacral bodywork. Also addressing all organ systems through Reflexology and Acupressure and working with deep muscular tension and injury by utilizing Myofascial and Deep tissue massage therapy. And hot stones for just pure relaxation and enjoyment. 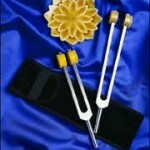 The gift of this healing touch can also be combined with the harmonious vibrations of Acutonics tuning forks. When the frequencies and intervals of the tuning fork are applied to the energetic gateways or acupressure points on the body’s meridian system, there is an awakening of the essential vibrational flow in the body. Our bodies are like musical instruments. When they are properly tuned we have a greater sense of well being, harmony and balance. From the smallest atom to the largest galaxy, everything in our universe vibrates, so by exposing the human body to harmonious, intentional vibration – i.e. music, it is possible to enhance the balance and harmony of the body, mind and spirit.